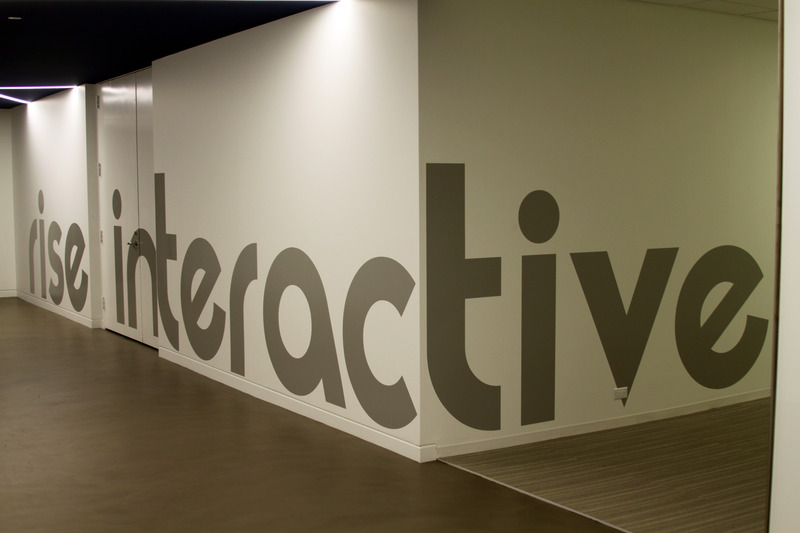 Rise Interactive is an award-winning digital marketing firm specializing in web traffic generation and analytics. 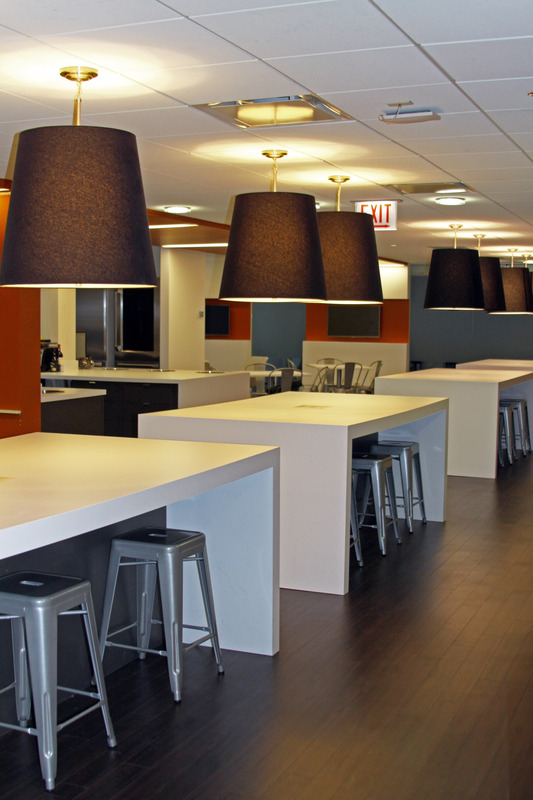 We recently wrapped up a 20,000 square foot built-out and expansion for their office, which occupies the third and fourth floors of One South Wacker Drive in downtown Chicago. 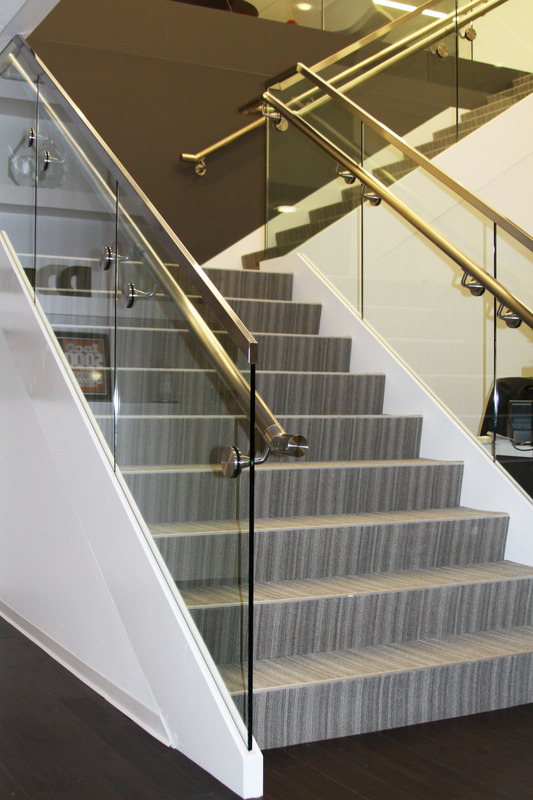 The project included construction of a new, internal steel staircase with glass handrails to connect both floors of the office suite. 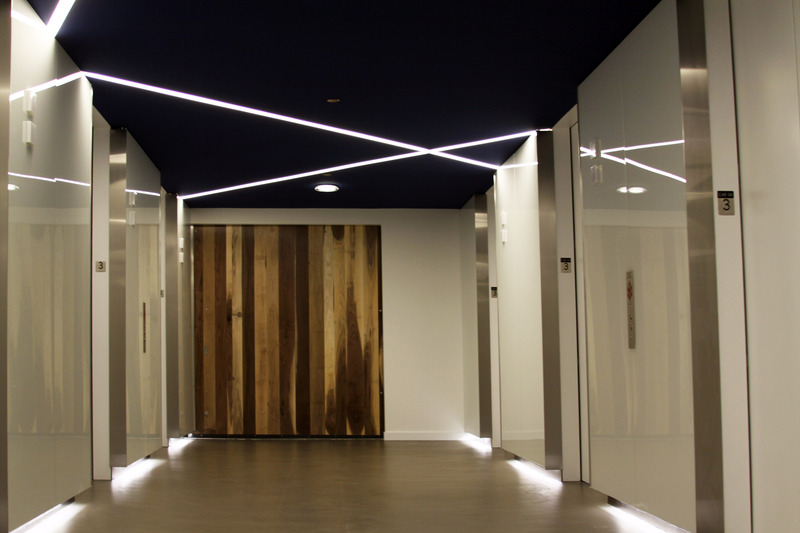 A reclaimed wood barn door was also installed at the main entry on the third floor. In addition, we constructed 10 private offices, eight conference rooms and two cafes. 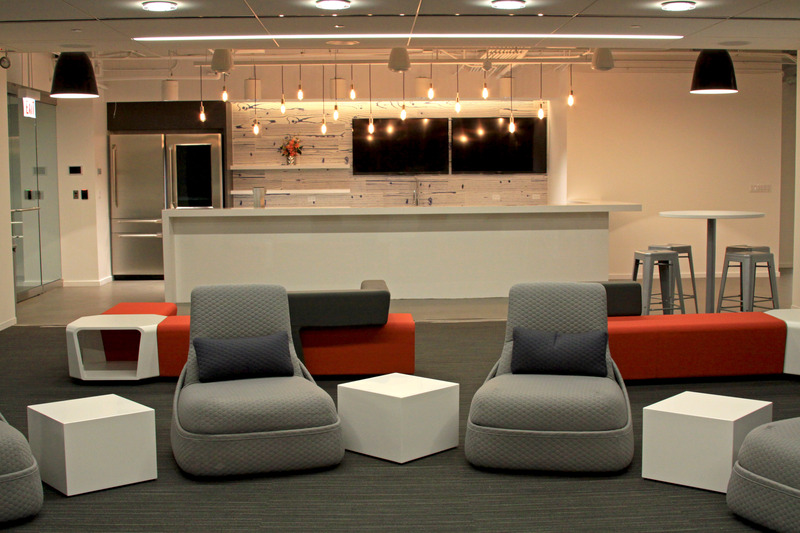 One major highlight of the space is the Burst Lounge, which features a classroom-style training area, space for team meetings and a bar for internal company events and client entertainment. 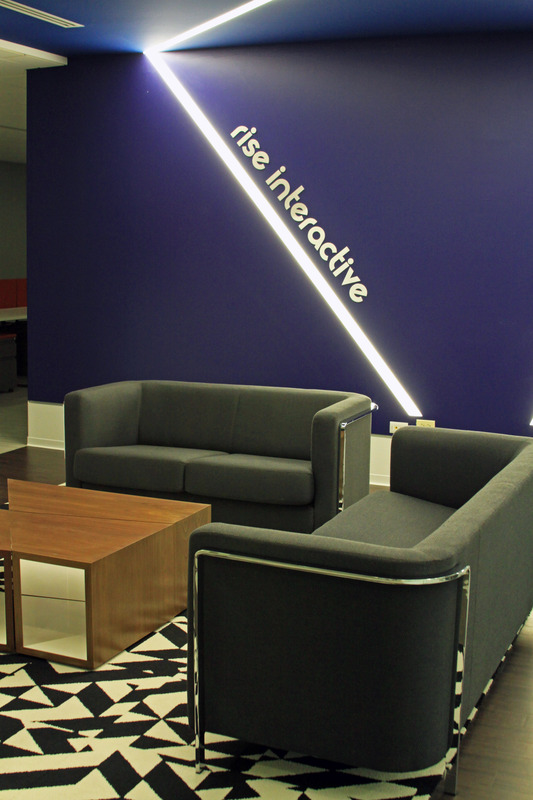 Like other technology-focused firms we have worked with, Rise Interactive embraces an open office layout. 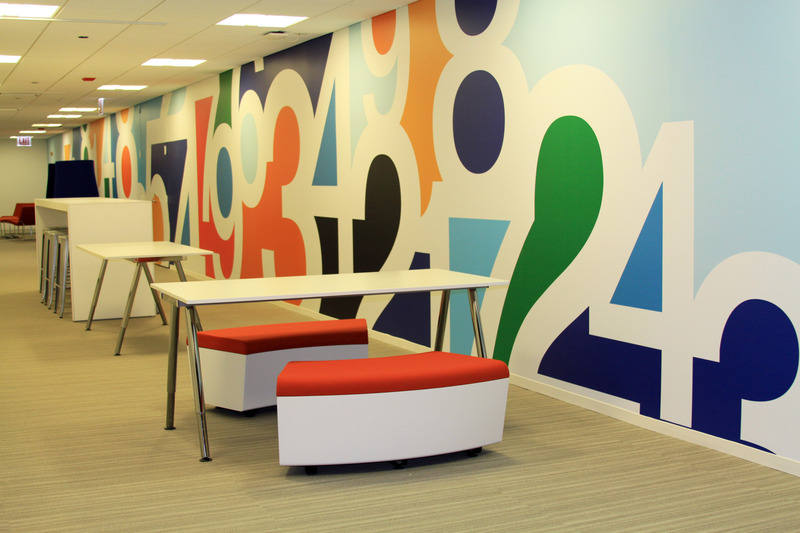 Relaxed and colorful spaces encourage team collaboration and creativity, and there are few barriers to communication amongst employees. The project team for Reed Construction included Senior Project Manager Steve Sandquist, Senior Project Superintendent Jay Crane and Project Engineer Brent Winebrenner.